This topic contains 64 replies, has 12 voices, and was last updated by kswiss 2 months, 1 week ago. 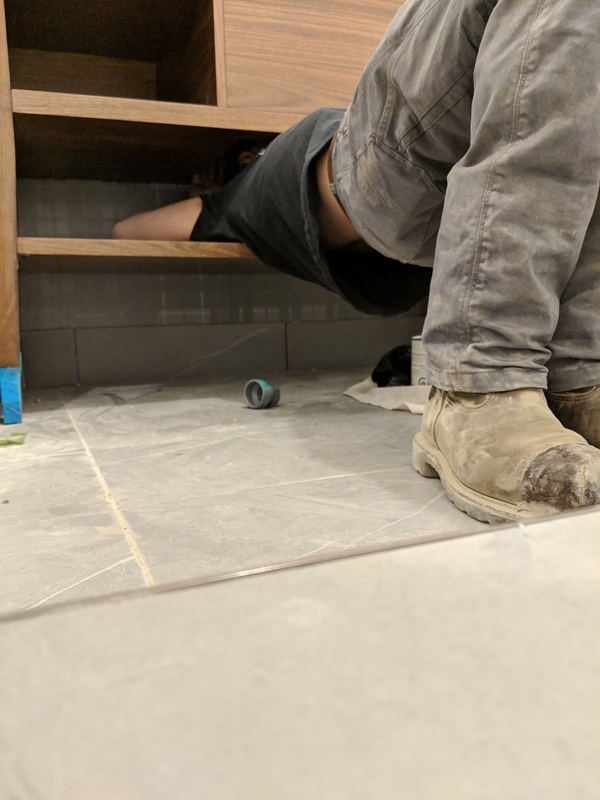 Was installing some plumbing fixtures and faucets over the last couple of months. Sometimes in this job you have to fit into some tight spaces. Oh man that looks awkward working that Kyle. How long were you having to work in that position? I always used to think if I wanted to be a trade it would either be as an electrician or a plumber. But as I got older, I realized that all the crouching and contorting required for a plumber would have been a bad choice for my body. It’s what kills me the most when doing reno stuff, is jobs that require doing that kind of twisting around and such. Besides the contorting into tight spaces, there were a few times once you are all twisted and contorted in that tight space, you still cannot “see” the item of repair or install. Once I was able to reach from that spot with only one hand, fully stretches to the point of repair. The repair can only be done by feel one handed the entire time. The confirmation of the repair being done has to be made with that same hand holding an endoscope recording videos of the repaired area. Can’t do something to your back and neck LOL. You can say that is atight space. I know that would be one place I couldn’t fit into. Sometimes in this job you have to fit into some tight spaces. Man that is tight, but on another note you must have heat now. We do have heat! Everything is warm and everyone is a lot happier now.